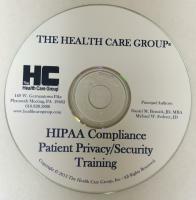 The Patient Privacy and Security Training (in PowerPoint format) has been expanded in scope to include the requirements for business associates and the rules on determining if a breach of these rules has occurred, and if yes, how to proceed. It includes definitions, examples of breach and notification requirements. This is a must-have tool to teach new staff and fulfill annual staff training requirements. System requirements: PowerPoint Viewer and speakers. If you do not have PowerPoint Viewer, you may download it for free to your computer from Microsoft's website. You may copy and paste the below link into your web browser. Please choose the version that best fits your computer by reviewing the system requirements before downloading.